Music therapy is an established way to enhance comfort, promote relaxation, relieve physical symptoms, and improve quality of life among people with a serious illness. This four-month pilot study will evaluate the effects of introducing music therapy to the unit. 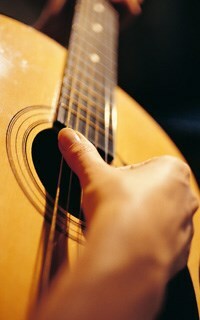 A music therapist will deliver bedside music therapy one afternoon a week. Family members present will be invited to participate and provide opportunities to relieve stress through creating a calming, supportive environment for the patient and family. Individual Music and Relaxation sessions are offered twice a month for unit providers and staff, held in the unit’s Staff Meditation Room. The goal of these sessions is to help staff feel more relaxed and better able to cope with their caregiving duties.